How do I access the articles from the OEB: Online Egyptological Bibliography database? - Ask Us! Q. How do I access the articles from the OEB: Online Egyptological Bibliography database? The Online Egyptological Bibliography (OEB) holds the details of more than 100,000 references in Egyptological literature. It includes the volumes of the previous Annual Egyptological Bibliography (AEB) for 1947-2001 with all abstracts, combined with Bibliographie Altägypten (BA) for 1822-1946, and a large majority of the records in the Aigyptos database. The database provides coverage of Egyptological literature. Note: IT IS NOT A FULL TEXT DATABASE. 1. You can access it from the Databases A-Z link on the Library home page. 2. 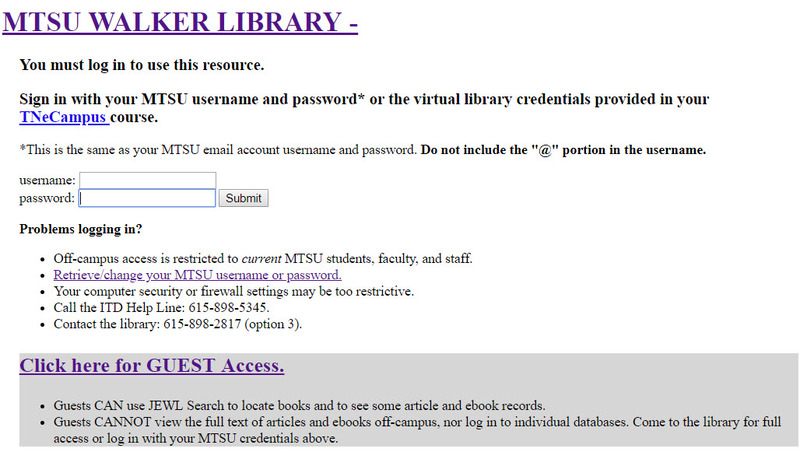 If you are off campus, you will be prompted for your MTSU credentials. This database is a collection of references in Egyptological Literature. It does not have full text articles. When you find a reference from a journal, you can check Journals A-Z to see if the Library has access to the journal. If we don't, you may request the Library get a copy of the article from a library by making an Interlibrary Loan request. Also, the University of Memphis has begun publishing links to the actual PDF files of books and articles which may be acquired free online.